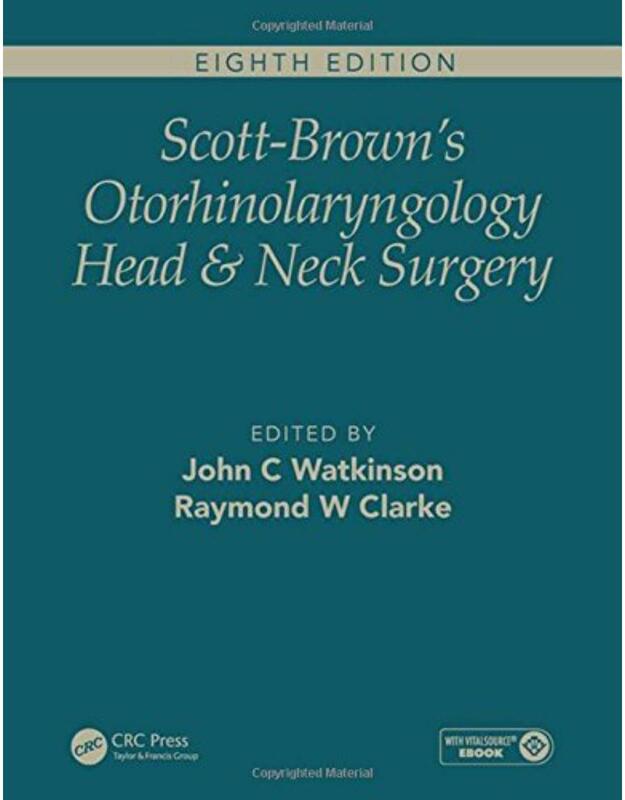 Scott-Brown's Otorhinolaryngology is used the world over as the definitive reference for trainee ENT surgeons, audiologists and trainee head and neck surgeons, as well as specialists who need detailed, reliable and authoritative information on all aspects of ear, nose and throat disease and treatment. Key points: ? accompanied by a fully searchable electronic edition, making it more accessible, containing the same content as the print edition, with operative videos and references linked to Medline ? highly illustrated in colour throughout to aid understanding ? updated by an international team of editors and contributors ? evidence-based guidelines will help you in your clinical practice ? features include key points, best clinical practice guidelines, details of the search strategies used to prepare the material and suggestions for future research ? new Endocrine section. Scott-Brown will provide trainee surgeons (ENT and Head and Neck), audiologists and ENT physicians with quick access to relevant information about clinical conditions, and provide them with a starting point for further research. The accompanying electronic edition, enhanced with operative videos, will enable both easy reference and accessibility on the move.